This is townhome living at it’s best. 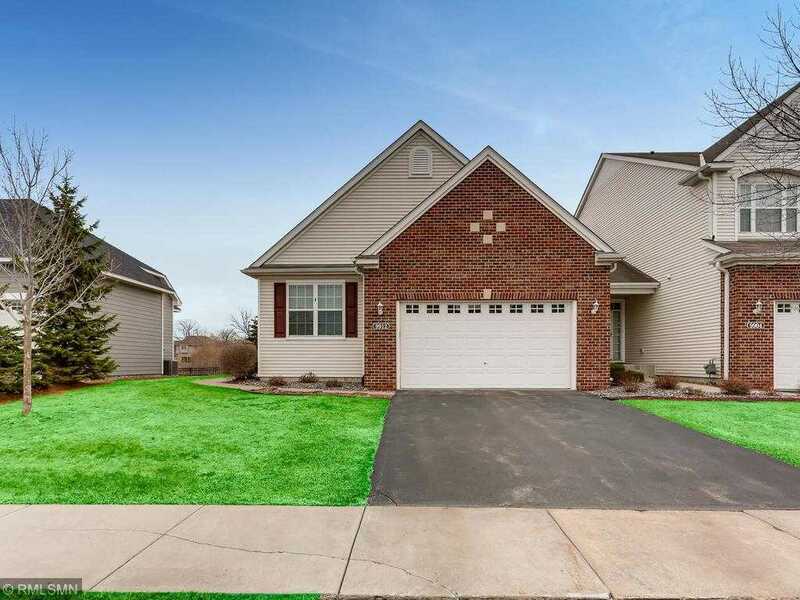 This 3 bedroom, 3 bathroom is a main floor living with open floor plan concept with the kitchen, dining room and living room that is open and bright to the deck. Spacious private deck that backs up to a wetland make the perfect spot for quiet dinners or entertaining guests. On the main floor french doors open to an office or flex space. Huge master suite with it’s own private bath, walk in closet. A spacious finished lower level perfect for entertaining and hosting w/bedrooom and bath for overnight guests. This home offers generous storage and room sizes. You will find the location is next to the heart of Maple Grove and offer all the amenities close by but still feel secluded. This end unit is in the high demand Delgany neighborhood. With great freeway access to commute or get anywhere in the city quickly. Start enjoying the freedom of townhome living today! Directions: 101 N (Brockton Ln) E on 100 Ave N.. S on Alvarado Ln N. Home on Left. Please, send me more information on this property: MLS# 5211271 – $395,000 – 9912 Alvarado Lane N, Maple Grove, MN 55311. I would like to schedule a showing appointment for this property: MLS# 5211271 – $395,000 – 9912 Alvarado Lane N, Maple Grove, MN 55311.